China’s slowing economy is perilously close to being too slow. What is happening to prices across the economy vindicates authorities’ fears that the annual growth target of 7 percent, notionally what’s needed to keep job creation ticking over, is at risk. Like almost all economies, China measures its GDP by counting up activity using the sticker prices of goods and services, then stripping out price changes for a real measure of how much actual stuff was produced. The “deflator” used to transform one number into the other is a good yardstick for how costs have changed over the year. In the first quarter of 2015, it was minus 1.1 percent. That’s roughly like saying that prices fell across the whole economy, for the first time since 2009. 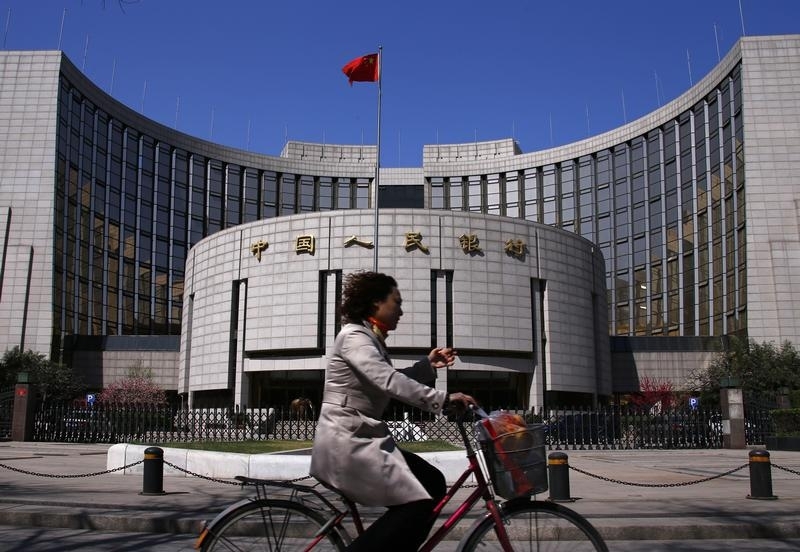 It helps explain why the central bank on April 20 released around 1.2 trillion yuan ($193 billion) of deposits that banks previously had to keep in reserve. The move allows lenders to trickle more money into the economy, which should help keep prices afloat. Break it down, and it’s clear how much China needs a boost. The gap between nominal and real GDP in the industrial sector in the first three months of 2015 suggests prices there fell 4.2 percent. In other words, real growth of 6.4 percent was just 1.9 percent in nominal terms – the slowest in over 20 years. That’s worrying. Interest payments on loans and dividends to shareholders are not adjusted for deflation. The service sector is not in much better shape. Prices rose by an implied 1.6 percent, according to the sector’s GDP deflator. Normally, rising wages push up prices, and rising productivity pushes them down. Assuming Chinese services companies aren’t much more productive, it suggests workers’ pay is slowing at a rate not seen in twelve years. Discontented employees remain one of the chief threats to China’s stability. It’s fair to ask whether numbers as broad as GDP and national price levels matter at all. They have little direct impact on most regular folk. But data signals help to influence how local governments calibrate spending, and companies deploy assets. Big numbers still have a role, and keeping them on target will require even bigger gestures. A woman rides past the headquarters of the People's Bank of China, the Chinese central bank, in Beijing, April 3, 2014. China’s central bank lowered the amount lenders must keep in reserve by the one percent of their deposits on April 19, effectively allowing them to lend more. Certain banks serving agricultural and rural customers will receive bigger cuts. The largest banks now have a required ratio of 18.5 percent. China’s real GDP increased by 7 percent in the first three months of 2015 in real terms, compared with the same period a year earlier. It was the slowest rate of expansion since the beginning of 2009. Using actual prices, growth was 5.8 percent. The implied GDP deflator, which is derived by dividing nominal by real GDP and gives a broad measure of inflation, suggests that prices across the economy fell by 1.1 percent over the period of comparison. The government has set a real growth target for 2015 of around 7 percent. In 2014, GDP increased by 7.4 percent. The industrial or “secondary” sector reported real GDP growth of 6.4 percent. In nominal terms the increase was just 1.9 percent, the slowest since at least 1993, the earliest year for which data is available.